Mariah Karson’s portraits are soft, hiding nothing from the viewer’s sight in the image. The non-threatening nature of every subject’s gaze is inviting to learn more of the history of who is in front of the lens. American Legion is the prime example of that, showing the effect that the Legions, veterans, and their families have on small towns in the United States with populations of fewer than 1,000 residents. The simplicity of the photographs reflects in the lifestyle and the culture that the different cities experience on a daily basis. The attention Karson brings to the decline of enrollment in the Legions, especially in such isolated parts of the country, sheds more light on the need for veteran support and outreach. Karson traveled coast-to-coast collecting stories and recording accounts of the uniqueness of each town. 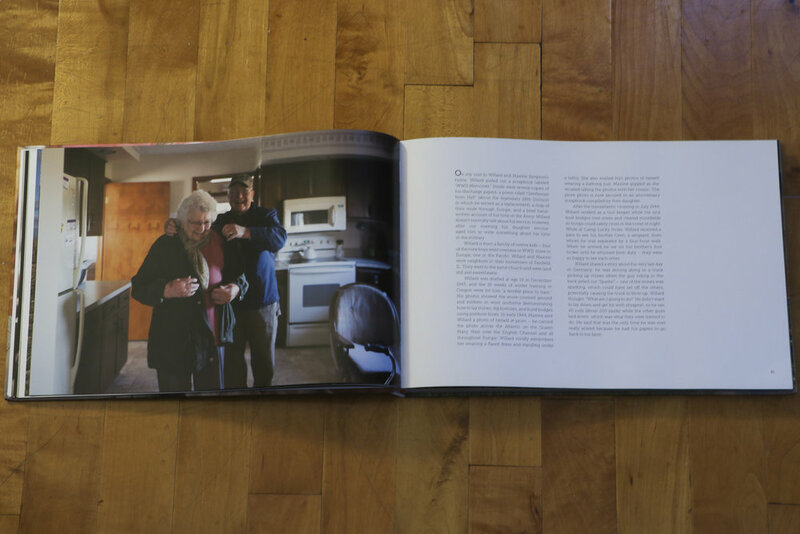 From being dry of alcohol for 50 years to a town almost desolate minus the film crews that sometimes come by to tape, the veterans that Karson shows welcomed her with open arms into their world, inviting her to events around town and sitting for professional portraits. An example of this is in Bombay Beach, California at Post 801 where Karson met with women serving as Auxiliary members that are the reason behind the prosperity of the Post. The women spoke openly how they wished those they knew to be Vietnam veterans to speak up about the events they had gone through and work through them. The struggles that lie behind the scenes blend in with the quiet landscape of each town. The assistance everyone gives one another to keep the Posts alive and keep each other going is remarkable and actions to follow in the footsteps of in terms of living out a dignified lifestyle. 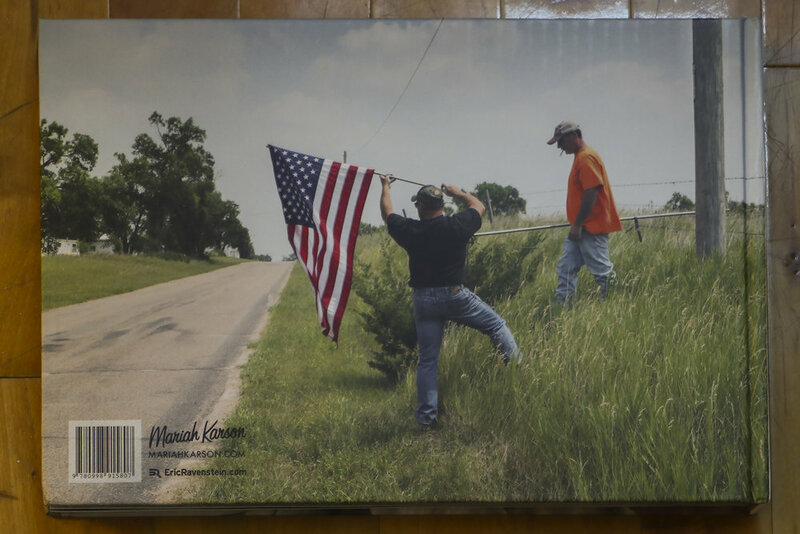 What is important to note throughout the story being told in American Legion is the history the veterans Karson has photographed are carrying out each and everyday. As Karson states in the book “…Legion membership has dropped from 3.1 million to 2.4 million…the decline of Legion membership has largely gone unnoticed in U.S. cities, small towns and rural areas have felt the impact more profoundly.” Karson also notes remembering the recent tearing down of her local Legion Post. The wide-range of war stories and how it is the connecting force that bring these communities together is astounding, considering that they are also struggling to keep their support afloat and abundant. What each town lacks in population and enrollment in the Legion they make up for in the extensive amount of history, love, and patriotism that comes from everyone Karson interviews. American Legion is a fascinating page-turner of doers, dreamers, and hopefuls. Karson brings out the realization to the different towns she visits, making her own census by documenting each. Making the town feel bigger than it actually is, Karson’s marvelous report of each Post can serve as a modern day Uncle Sam enlisting poster for others to join the Legion or to bring more awareness. The Legion honors the vets and American Legion is in honor of every vet. 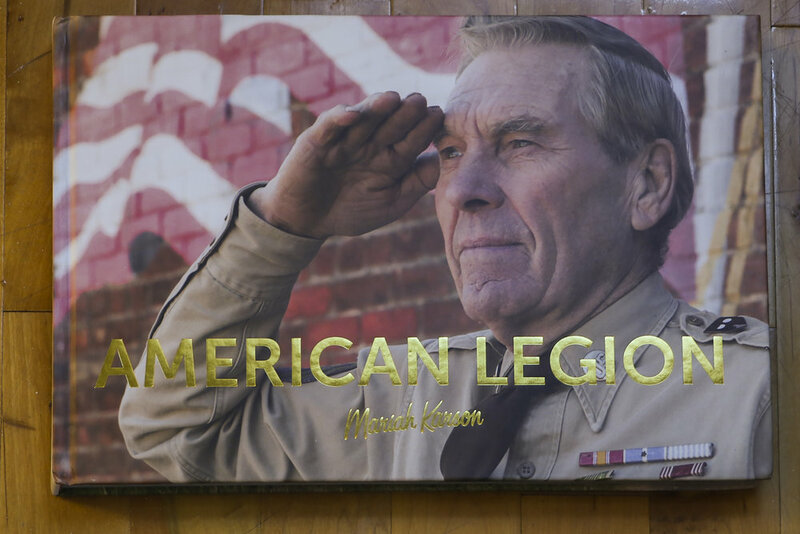 If you are interested in purchasing American Legion, you can purchase it on Mariah Karson's website. For shipping in Europe and internationally, you can purchase the book from the Trema Förlag website. Thank you to Mariah Karson for sending the book to us for this review! If you are interested in your book getting reviewed by OURS Magazine, please email madison.oursphotomag@gmail.com for more information.